Building Research Establishment | Polyflor Canada Inc. The BRE (Building Research Establishment) is an independent organization which evaluates the environmental impact of a product from ‘cradle to grave’. Using a Life Cycle Analysis (LCA) approach over a building life of 60 years, materials are assessed according to their impact. The complex data derived from the given criteria is calculated into ecopoints, which are then represented by ratings from E to A+ with an A+ rating being the highest achievable environmental rating. Using these ratings sets a benchmark for environmental excellence and ensures that reliable and comparable information is available between competing products, eliminating the confusion of varying claims and counter claims, making specification much easier. Independent, third-party certification is always important as its impartiality reassures customers that our products will perform as expected. This is why Polyflor has had the majority of its product ranges individually assessed and rated by BRE Global. 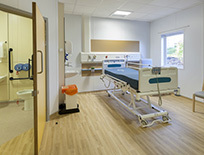 Polyflor’s product ranges predominantly have BRE specific ratings & achieve A+ in major use areas such as healthcare & education. Where products have not been individually assessed, BRE generic ratings are available*, again achieving A+ in key areas. *This excludes the Polyflor Sport 67 & Polyclad wall & ceiling ranges.